WHERE: Vaught-Hemingway Stadium, Oxford, Miss. Georgia has began their season with three victory, and their opponent, Mississippi, has two losses to begin the 2016 campaign. But throw out the records. The Rebels are still one of the top-tier teams in the SEC, narrowly losing to two of the nation’s best in Alabama and Florida State. Currently sitting at 1-2, this noon showdown serves as a must-win for Hugh Freeze’s team. As Ole Miss is out of College Football Playoff contention, unless a miracle occurs, the Rebels hope they can win out and that Alabama loses twice in order to make an appearance in the SEC Championship game. For Georgia, they hope to keep the momentum going after beating Missouri by a slim margin just a weekend ago. 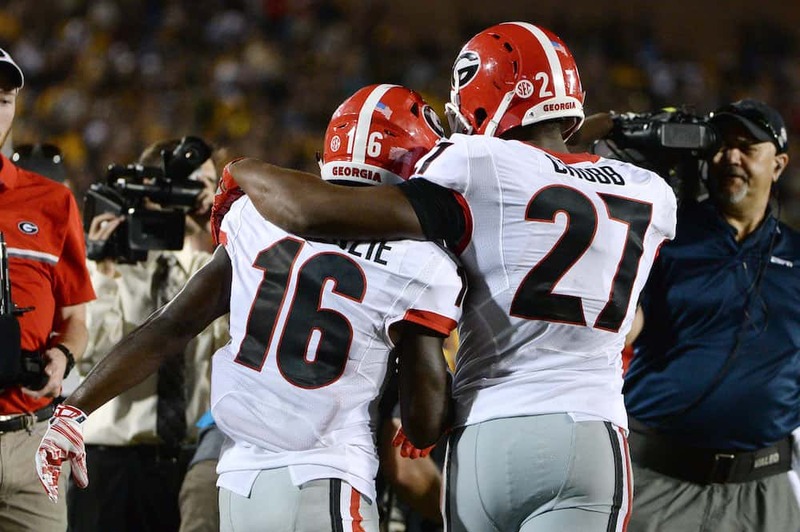 The Bulldogs can put themselves in a good position to claim the SEC East with a win in Oxford. Another large test is ahead of head coach Kirby Smart and his team, and there are three major storylines heading into week four of the season. Last week, Georgia’s secondary seemed to get torched at times as Missouri’s Drew Lock threw for 376 yards. A week later, they have a tougher task in Chad Kelly, one of the nation’s premier quarterbacks. Kelly has thrown for 953 yards and ten touchdowns through only three games, against some of the best secondaries. 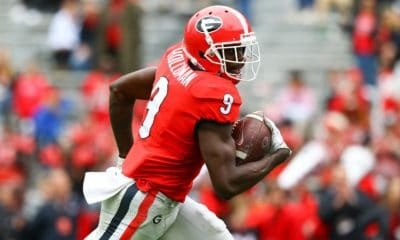 Georgia has a big task ahead of them as Kelly has ability to connect with many of his playmakers, including their leading receiver Evan Engram. It is imperative that Georgia at least contains the Rebels quarterback and wreaks some havoc in order to leave Oxford victorious. 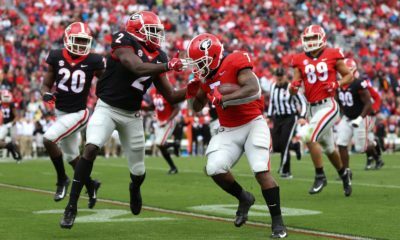 Georgia’s running game has been stalled since junior running back Nick Chubb ran for 222 yards against North Carolina. Since then, Georgia has only combined for 268 rushing yards against Nicholls State and Missouri. 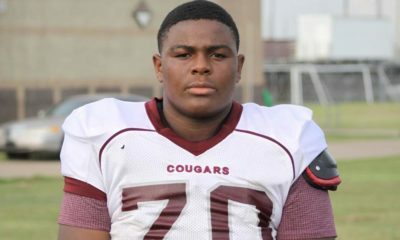 Plenty of the blame has been placed on the Bulldogs’ offensive line, and they must turn it around against a mediocre opposing run defense. Ole Miss has allowed an average of 248 rushing yards this season, so the opportunity is present for Georgia to rebuild some confidence in its star-studded stable of running backs and have Chubb, Sony Michel and the supporting cast carry them to victory. Yet again, the offensive line must move opposing defenders off of the ball and open holes in order for the Bulldogs running backs tally some yards. In Georgia’s first three games, special teams blunders have nearly cost the team multiple losses to open the season. 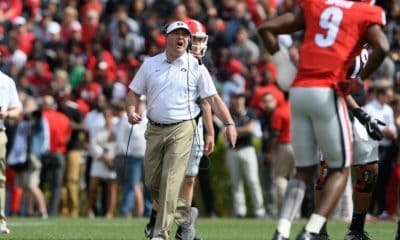 From field goal misses to poor kickoff and punt coverage, Georgia’s special teams unit has been a laughing matter to this point. Smart’s club has been able to work their way around the mistakes in the first three games, but they won’t be able to leave any points on the board against the Rebels. Place kicker William Ham has had a 43 percent field goal conversion rate in the first three games, hitting three balls through the uprights on seven attempts. Another issue lies in kickoffs as both Rodrigo Blankenship and Ham have both struggled to kick the ball in the end zone, giving their opposition quality field position to start drives. These are some of the special teams areas that Georgia must improve upon in week four in order to beat Ole Miss.